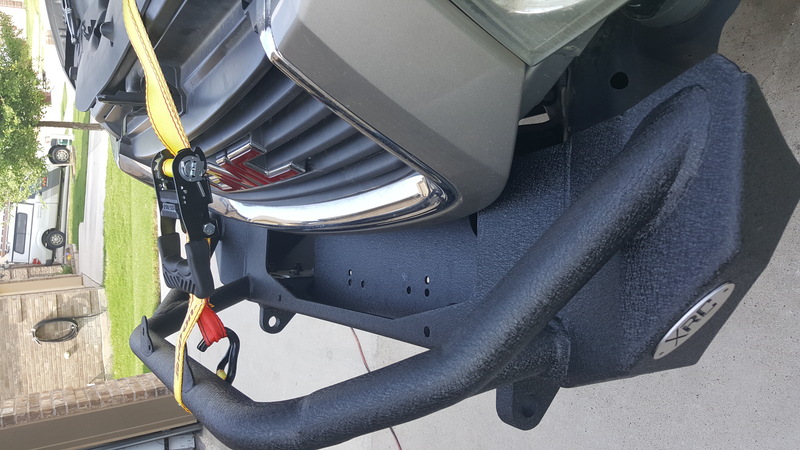 I just finished installing a Smittybilt XRC bumper for a JK jeep on my Envoy. I was going to build my own but just don't have much time to work on the envoy lately. 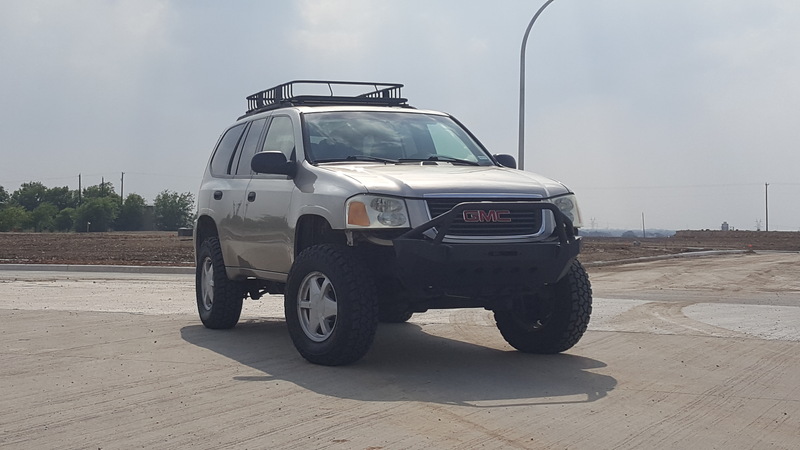 So I saw Teebes put a JK bumper on his trailblazer and it fit pretty well. 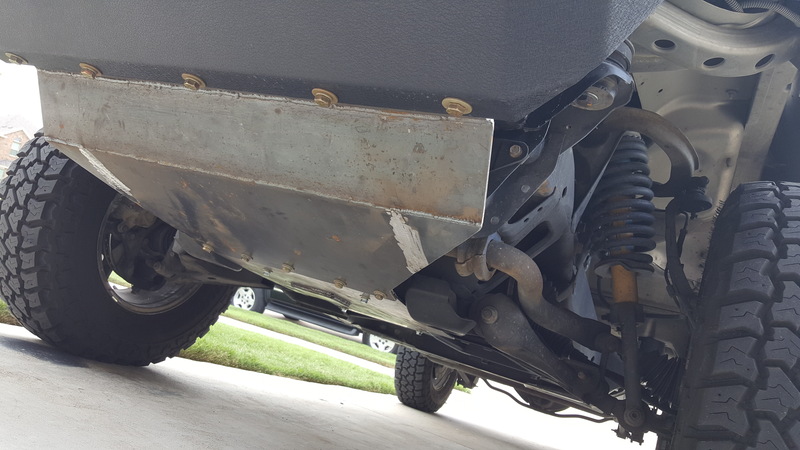 My neighbor jeep buddy told me Smittybilt was closing out their xrc gen 1 bumpers for 299. I took the measurement of the xrc bumper and made a scale drawing. I transferred the dimensions to the envoy and it looked to be a decent fit. I ordered one up and started the fitting. 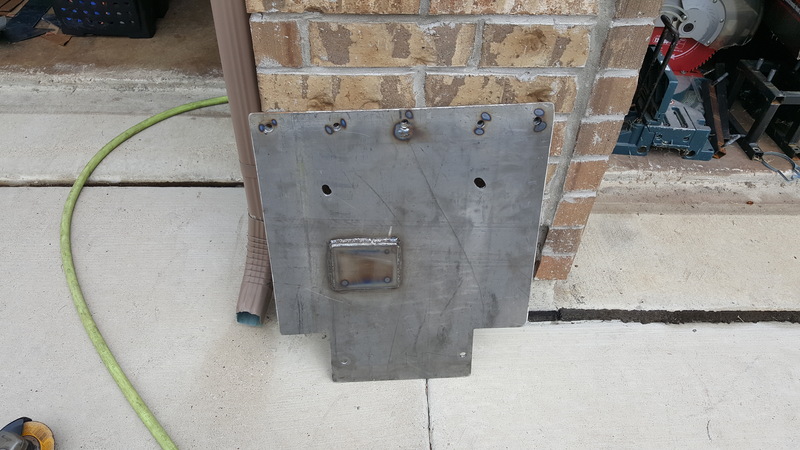 I fabbed the mounting brackets from 3/16 steel. 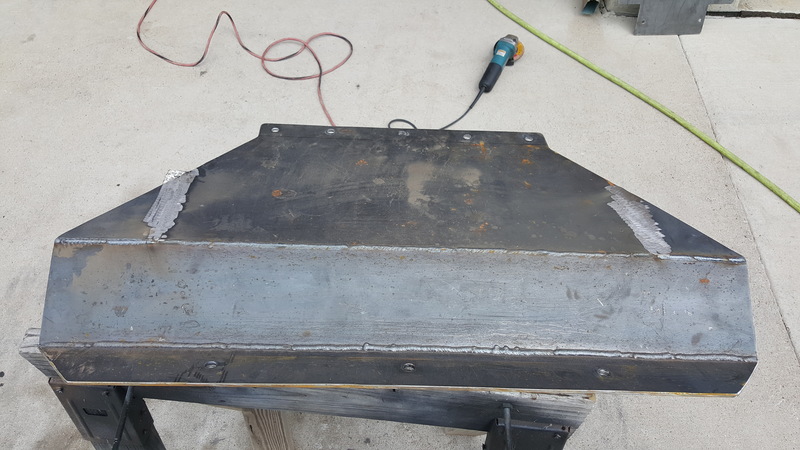 They are welded to the frame horns and have a Jeep jk bumper mount pattern. 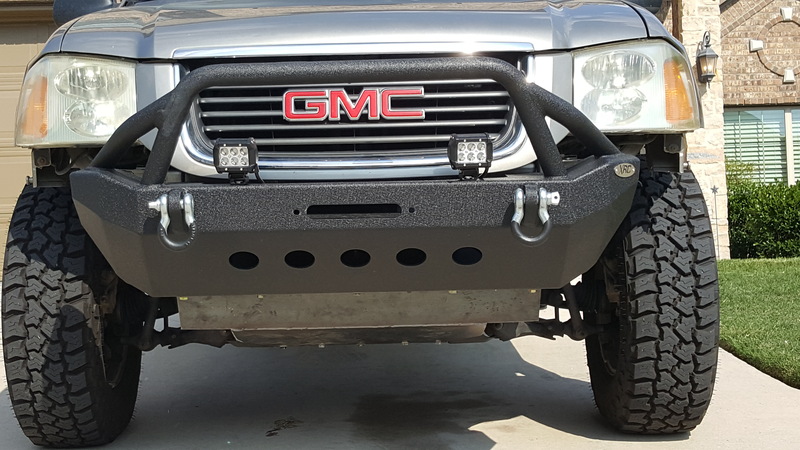 The bottom of the bumper is also bolted to the frame horns with 5/8 hardware. Not bad for a few hours work. Last edited by CHEVELLE598BB on Fri Jun 09, 2017 7:38 pm, edited 1 time in total. Started on the rad skid and oil pan skid today. I'll finish them up tomorrow. Here are a few more pics from today. 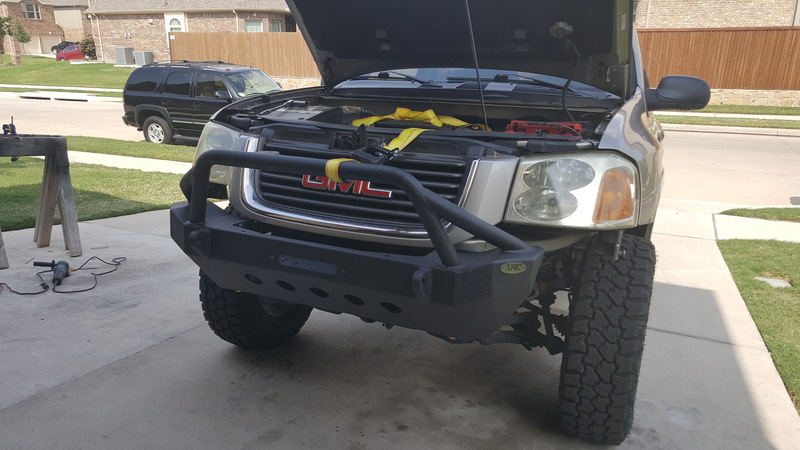 It is fully installed and I'm going to our local off road park tomorrow. We will see how it holds up. I'll paint it after testing. You've seen how my radiator skids are, right? Do a vertical on each side, that mounts to the rear of the rad mounts, at the very least. 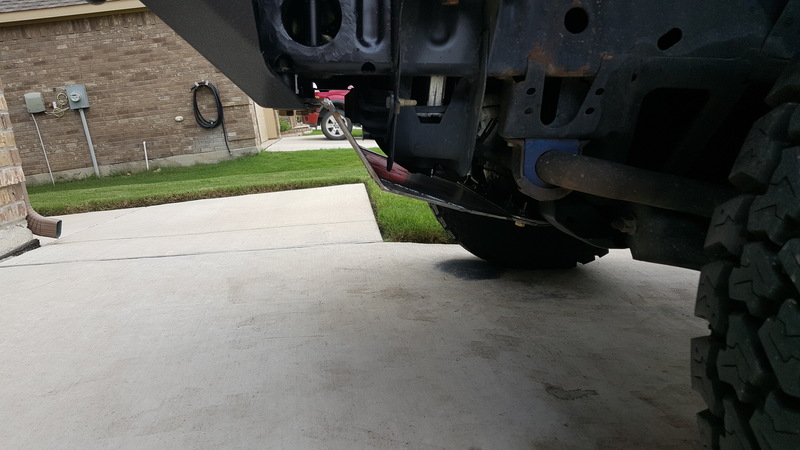 Also looks like you've only got one offset on the oil pan skid. I use 3 spacers and a cap of 3/16", or 2 spacers and a cap of 1/4". I will look at yours a little closer Mike. It definitely could use some more tweeking. That's one reason I haven't painted it yet. It did take a pretty big hit on a decent on Saturday and it didn't budge.